But, later, from the afternoon, all flight services were operated normally as per their time slots. VISAKHAPATNAM: Some of the passenger flight services scheduled between 7 a.m and 8.30 a.m from Vizag airport were affected by the unfavourable atmospheric conditions resulting from the ‘Titli’ cyclone. Indigo Airlines management cancelled four ‘Indigo’ flight services. “As the Indigo Airlines services has information about the super cyclone ‘Titli’, the higher authorities decided to cancel the morning flight services from Vizag airport and they informed all the passengers well before the flight schedules and sent some of the passengers by alternative flights and returned the money to passengers, who agreed to cancel their journey. The 6E 688 - Bengaluru to VSP flight at 7.00 a.m, 6E 2719 Delhi to VSP at 7.30, 6E 557 Chennai to VSP at 7.55 am and 6E 6211- Hyderabad to VSP Indigo flight services were cancelled by the management as a precautionary measure,” Prakash Reddy, Vizag Airport director, said. RTC officials informed that several bus services, which were scheduled to go beyond Srikakulam district headquarters, were stopped around 11.30 p.m at Vizag on Wednesday. Later, after receiving information that the cyclone had crossed the State coastline near Gollapadu- Pallisaradhi villages of Vajrapukotturu mandal in Srikakulam district, the RTC authorities allowed the vehicles to travel to their destinations. For the passengers, who were stranded at Vizag and surrounding areas, RTC authorities provided some snacks, water etc. 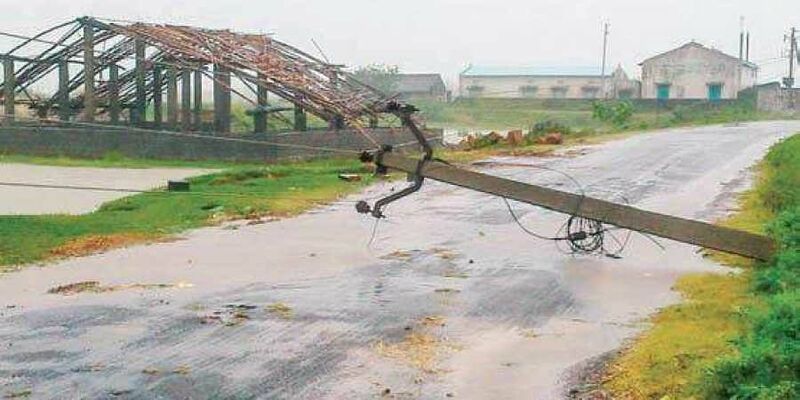 As reports came in that due to strong winds, several heavy vehicles, including some containers were tilted upside down on the highway, transport department officials restricted the vehicle movement towards Srikakulam temporarily. Later from 6.00 a.m on Thursday, they allowed vehicles including RTC bus services up to Srikakulam district headquarters, but bus services to Ichhapuram, Sompeta, Palasa, Tekkali etc were stopped temporarily.